I whatsapped my buddy for lunch and she suggested eating at Compass One. It was around 3pm when we finally met. From morning till noon, I have been looking forward to my imagined feast at some new fancy place, sipping my coffee and ending my meal with a beautiful cake. I was hungry by the time we met. "So what are we eating?" I asked. She replied sheepishly, "How about Shan Cheng? I ate it yesterday but I can eat it again." 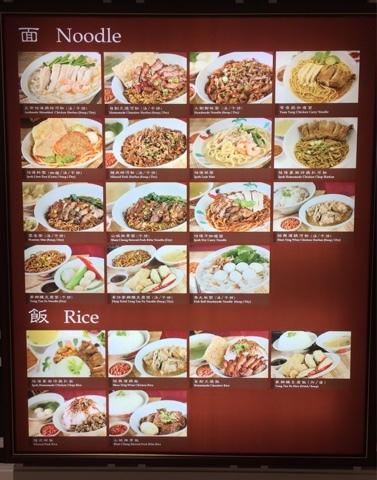 I was not over the moon because I have tried Shan Cheng a few times at One KM. Since she really loves Shan Cheng food and I could not think of a better place for two hungry stomachs, we went ahead. There was a pleasant surprise because of a promotional set - for S$18 nett, you can get two mains, one side and two hot drinks. 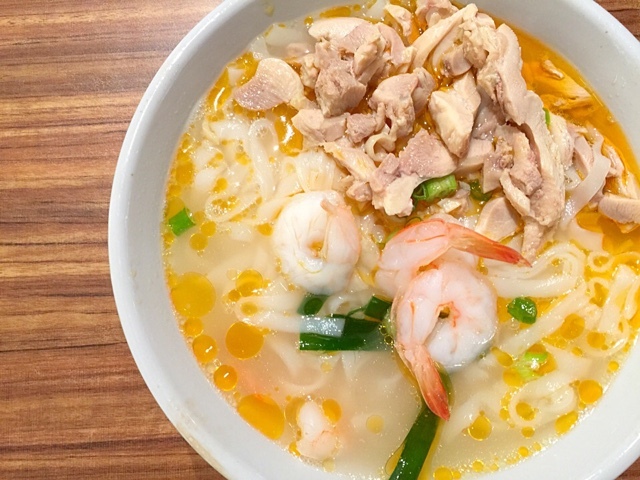 I ordered the Ipoh Hor Fun. The soup was really hard to describe. When I first drank it, it tasted of prawns and gradually, some hint of chicken. Overall, it was a nice broth. The prawns were fresh in a way - when you submerged prawns in salty water and their flesh turns firm. The chicken was tasteless which was a plus point for me because I disliked MSG ladened food. It tasted like how chicken should taste. The hor fun was very soft. My buddy ordered homemade Char Siew Hor Fun (Dry). The sauce was great - huge flavours of fried scallions, spring onions and soya sauce. 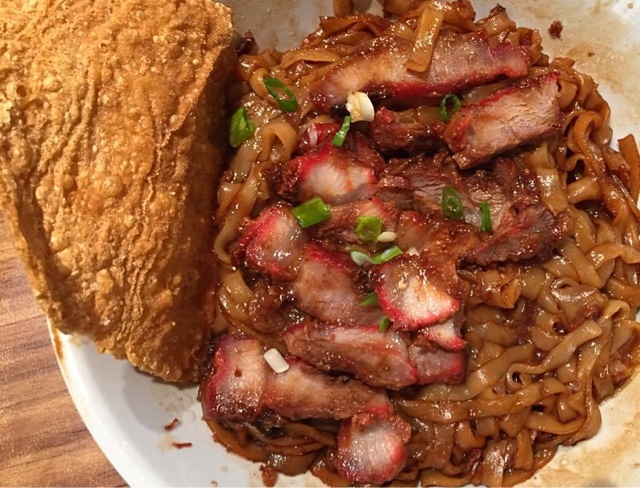 The Char Siew was very lean. The dish also came with a piece of extremely crispy fried beancurd skin. The S$18 set also came with the Golden Platter - fishballs, fish cakes, fried turnips, fried beancurd skins with and without fillings. I enjoyed every item since they tasted freshly fried. The turnip served more as a dessert for me as it is sweet. The only item that was not suitable for my palate was the fish cakes - too salty! 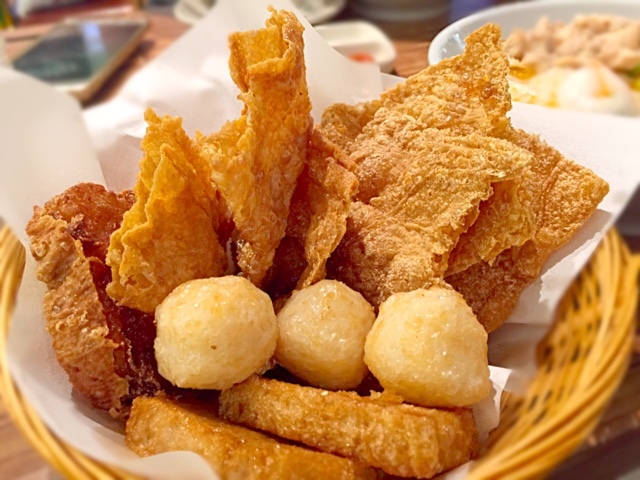 The main draw for me in returning to Shan Cheng with my buddy a few times was the combination of eating extremely crispy beancurd skin with hor fun. We also got to enjoy very fragrant and strong traditional Kopi and Teh. 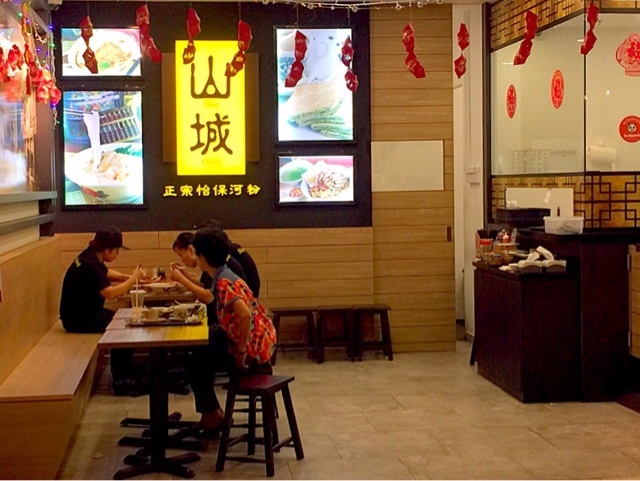 I am pretty sure we can find better tasting Ipoh Hor Fun elsewhere in hawker centres but Shan Chen provides a cheap alternative for friends to catch up over traditional food comfortably.